We’re getting closer and closer to finding the winner of the Carabao Cup 2018. The first leg semi-final clash between Arsenal and Chelsea turned out to be an underwhelming affair, with both sides failing to score at either end. If their last two matches are anything to go by, Wednesday’s gig is sure to be an extremely close encounter, when the two sides will lock horns for the third time this month! Will Recent Storylines Play A Role? Chelsea are settled and can play excellent football. They had a nice 4-0 victory over Brighton last weekend, but their recent form has been far from ideal, with one pre-stoppage time win in their last six matches. The recent addition of Ross Barkley may bolster Conte’s squad for the Arsenal game, and will certainly provide cover in midfield. Paddy Power are offering Barkley as first goalscorer at odds of 11/1. The departures of Theo Walcott, Francis Coquelin and most recently Alexis Sanchez may prove unsettling for the Gunners, but their 4-1 thrashing of Crystal Palace on the weekend might give Wenger’s men a boost. Even with the advantage of being at home, Ladbrokes is giving Arsenal odds of 9/5 for an outright win, with Chelsea at odds of 7/5, after they themselves outplayed Brighton for a 4-0 victory. When betting on football, and specifically the Carabao Cup, the most important thing to do is note the form of each team in the other competitions. Just as important is to keep an eye on the performance of individual players and also the previous results of any meetups between the two squads. Take the bigger picture into account for teams too. Arsenal will be hungry for this game, as this is their last shot at domestic silverware this season so they will be desperate to give their fans something. They failed in the defence of their FA Cup title this season and the Carabao Cup could provide redemption of sorts. This game could certainly go down to the wire. The last 4 clashes between Arsenal and Chelsea have ended up in a draw. By closely following the early stages of the game you could open yourself up to some unique in-play betting opportunities, as there are some very interesting top goal scorer markets to avail of. 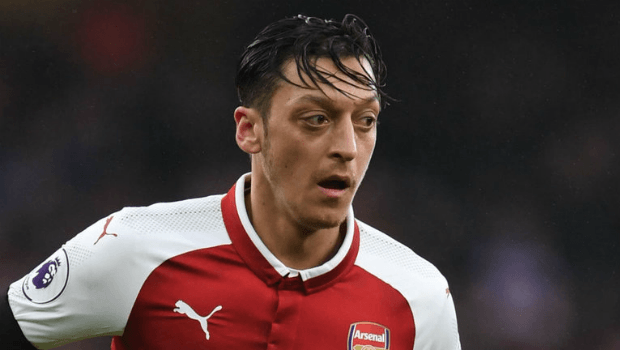 Mesut Ozil returned over the weekend for Arsenal’s smashing of Crystal Palace in the Premier League, a game that will certainly have provided a much-needed boost for the clash with Chelsea. He played excellently in the first half, with bounds of flair complementing Arsenal’s play. Ladbrokes have Ozil at 9/1 for first goalscorer in the clash with Chelsea, an offer to be taken seriously if you consider how hungry the German will be to get on the scoreboard after his absence. After plenty of chatter, Arsenal’s Sanchez swap deal with Manchester United for Henrikh Mkhitaryan was confirmed on January 22nd. It's worth noting because it was just 2 days prior to the clash with Chelsea. The deal certainly shakes up the squad, but Arsene Wenger and his players will be happy that it’s finished with after weeks of speculation. There are some doubts around Monreal and Koscielny’s fitness, but they could easily feature. Chelsea’s Morata and Pedro were both sent off against Norwich in the FA Cup replay, but they will be available for selection against Arsenal. Fans will be delighted if Ross Barkley makes an appearance for the Blues and Cesc Fabregas may be deemed fully fit in time for Wednesday’s kick off. Chelsea are more solid than Arsenal at the back and so it is difficult to ignore them as potential winners. Even though they’ve proved mediocre in front of goal recently, they should be able to take this one home by applying some aggressive pressure and remaining tight at the back. With the last 4 meetups between these two teams ending in a draw it’s a favourable outcome to consider. Unibet have a tie at odds of 49/20 - certainly a great bet when taking into account both sides performances in other recent games. The corners market will be interesting for this Carabao Cup bout between these two EPL powerhouse clubs. With Arsenal’s defence potentially lacking, over 12 corners for Chelsea at odds of 9/5 with William Hill may be an interesting punt to take on. If you’re considering an outright win for Chelsea, this could prove to be a decent flutter. The Blues are going to be just as hungry for Arsenal, and with a more settled squad they could easily score first, remain on the offensive and go on to win the match. It’s hard to look past Chelsea winning. Both teams will need to play a lot better than they did in the first leg and even though Chelsea haven’t been finding the net as often lately, they shape up better than Arsenal in defence. It’s likely that this match will be a tight one, but that should be just about enough for Chelsea to take it.